Brazilian star Neymar has confirmed he is set to sign a new Barcelona contract, in effect ending Man United’s hopeful advances to sign the attacker according to the Daily Mirror. The 23-year-old enjoyed a superb campaign in 2014/15, netting 39 goals in all competitions, and is now part of a pivotal three pronged attack along with Lionel Messi and Luis Suarez and isn’t a player Nou Camp boss Luis Enrique would consider selling. Nonetheless there has been constant speculation of interest from Man United though one imagines such talk only serves to help Neymar secure as good a contract offer as possible, and as such the former Santos man hasn’t moved to quash such transfer talk. 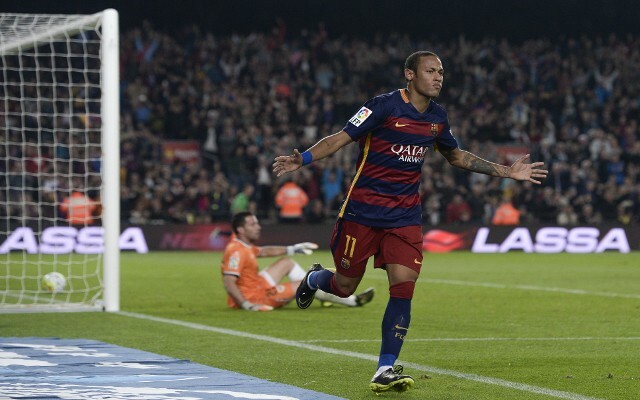 Neymar netted four goals in Barcelona’s 5-2 weekend win over Rayo Vallecano, a victory that lifts the Catalan side to third spot, level on points with Celta Vigo and arch rivals Real Madrid.